The Speckled Band — Last week! 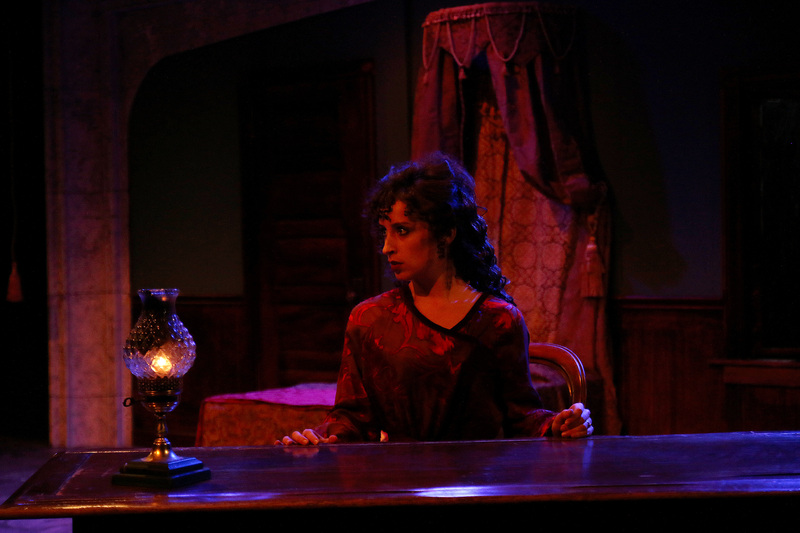 My run as Helen Stoner, the damsel in distress, is ending this weekend. 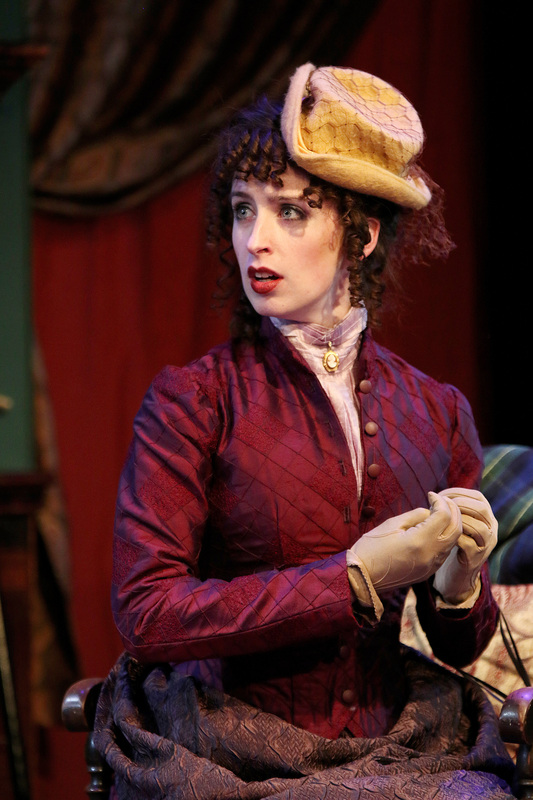 This Gothic, Sherlock Holmes adventure of The Speckled Band has been a dark ride and I have enjoyed working with the Classical Theater Company (Houston, TX) a lot. Whenever a show is about to end I feel myself doing a quick, emotional analysis. Am I the appropriate level of sad that the show is ending? What exactly will I miss? Did I enjoy the rehearsals? The production team? The cast? The run? No matter how fulfilling the production is, there is almost always that anticipation of having some evenings off — which is ridiculous, because I go crazy when I’m not working and immediately compile an obsessive list of ten million things to do. During this particular show, I have definitely enjoyed sharing the stage with my castmates, though it was an new experience for me to be the only woman in a cast of more than two or three people. Thanks to some inspired gender-swapping in some of the Shakespeare productions I’ve done, there has always been at least one other woman. Even if I didn’t exchange lines with her (TSC had a female Ariel when I played Miranda), she was still a palpable energy onstage. In The Speckled Band, Helen spends the entire play either grieving for her dead twin sister or fearing her own immediate demise. She is emotionally isolated, physically abused, and denied connection at many points throughout. These circumstances make me jump back to Ophelia, whose world was similarly bleak in my production at HSF but who still had Gertrude. The presence of a woman to idolize and whose sympathy could be hoped for/appealed to — even if her rejection was the norm — felt very different. Ophelia also has the mess of a relationship with Hamlet to lean on (until that prop gets shattered) while Helen becomes engaged to a man we never see and rarely talk about. Dr. Watson, the warmest character Helen encounters, is still a fairly distant outsider to the every day struggles at Stoke Moran. When Watson first offers friendship to Helen in our play, I believe Helen’s dependency on/loyalty to her forceful step-father, Roylott, is a much stronger compulsion. I still feel this lack of love interest and lack of female companionship during the course of the play, which may be the very things that make Helen ultimately more capable than Ophelia. It’s been pretty cool to discover that my own instincts — or habits — are to seek a fellow woman or the romantic partner in my character’s moments of distress. Without these crutches, however, Helen still resists the accusations of madness and continues to scratch her way towards justice for her sister and a secure life for herself. So yes, I’ll miss playing her. 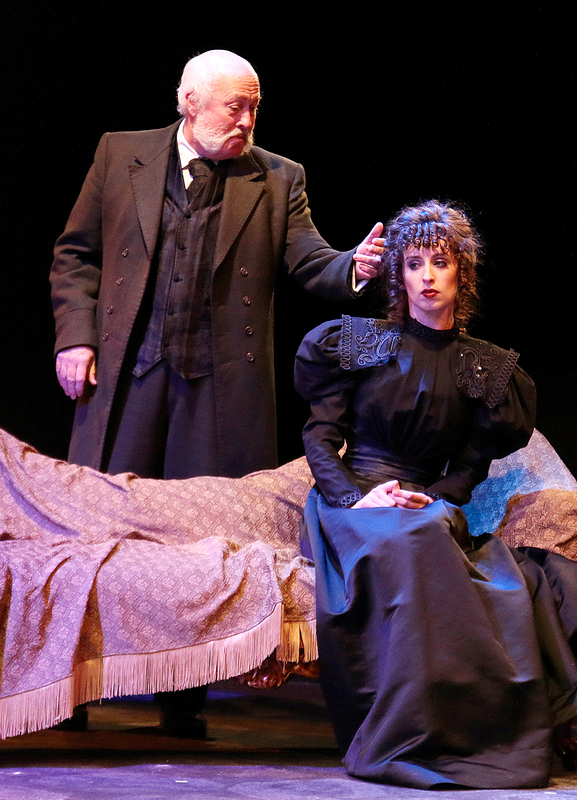 For tickets to our last three performances, visit www.classicaltheatre.org/tickets! Tonight and Saturday at 8:00, Sunday at 2:30.